What’s New: A new era of supercomputing offers unprecedented opportunities for scientific and industrial breakthroughs. The global competition among high-performance computing (HPC) systems heats up at the International Supercomputing Conference (ISC 2018) in Frankfurt, Germany. The next generation of supercomputers will provide scientists and researchers with powerful new tools to accelerate scientific discoveries and drive innovations. 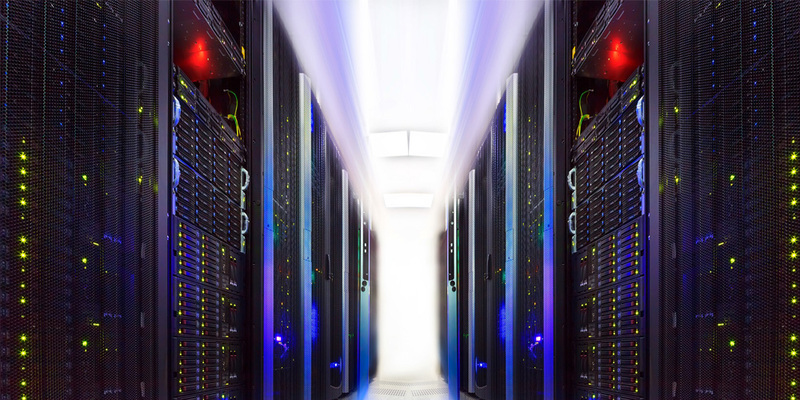 Intel is on the forefront of the convergence of artificial intelligence (AI), analytics, simulation and modeling and other HPC workloads that will drive the industry toward the next era in supercomputing. Intel’s Leadership Role in HPC: ISC 2018 kicked off with the release of the Top500 list, which shows today’s supercomputing platforms continue to rely on Intel® Xeon® processors as the preferred processor in the world’s leading Top500 supercomputers. Intel processors power a record 95 percent of all systems in the Top500 list, an increase of 2.4 percent since June 2017. Intel Xeon processors are used in 97 percent of all new systems added to the Top500 list with the latest Intel Xeon Scalable processors powering more than 27 percent of all newly added (37 of 133) Top500 systems. Intel Xeon processors provide the performance and flexibility to handle the most stringent HPC workloads as well as the widest range of workloads at any scale required by science and industry. What’s New from Intel: For both supercomputing and traditional HPC clusters, Intel continues to deliver and innovate high-speed interconnect technologies that enable cost-eﬀective deployment of HPC systems. Intel shared at ISC its next-generation Omni-Path Architecture (Intel® OPA200), coming in 2019, which will provide data rate speeds up to 200 Gb/s, doubling the performance of the previous generation. This next-generation fabric will be interoperable and compatible with the current generation of Intel® OPA. Intel® OPA200’s high-performance capabilities and low-latency at scale will provide system architects the ability to scale to tens of thousands of nodes while benefiting from improved total cost of ownership. Visualization is a key component in advanced computing that allows systems to deliver greater insights with faster turnaround when using large-scale data sets. This week at ISC, Intel announced Intel® Select Solution for Professional Visualization, an easily deployed, Intel-optimized system reference architecture that is purpose-built to meet the demands of today’s most complex data explosion challenges. Intel Select Solution for Professional Visualization uses the platform’s onboard memory to do graphical rendering of large datasets in real time. A greater footprint of available memory makes these Intel solutions better suited for the larger data sets in HPC workloads than architectures with smaller, captive memory pools. Intel Select Solution for Professional Visualization is supported by leading software vendors and visualization experts and will be available later this year from partners such as Atipa*, Dalco*, E4 Computing*, Megware* and RSC*. Hear from Intel: Intel Corporate Vice President Dr. Rajeeb (Raj) Hazra will kick off Intel’s participation at ISC 2018 by sharing insight on emerging technologies and the changing landscape of HPC systems. Hazra will present to ISC 2018 attendees at 6 p.m. Monday, June 25, in the Panorama 2 ballroom of the Messe Frankfurt Hall 3 on how the convergence of artificial intelligence (AI), analytics, and simulation and modeling are ushering in new approaches that will help the industry accelerate insights and innovation. A brain tumor screening demonstration that trains high-resolution images using AI based on Intel Xeon Scalable processors. Intel Select Solutions for Professional Visualization demonstrations that include a live “Virtual Auto Wind Tunnel” using OpenFOAM, ParaView+OSPRay interactive ultra-high-fidelity ray tracing, and an interactive “fly through” of a LiDAR captured 500 year-old German Village and Church with MegaMol+OSPRay photo-real rendering >500GB of particle data. A demonstration of Intel® FPGAs in key high-performance computing and AI workloads such as compression, image/object recognition and genome sequencing. A demonstration of distributed deep reinforcement learnings on Intel Xeon Scalable processors.